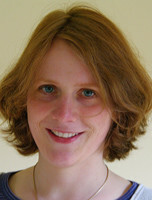 Julika Wilcke is doctoral fellow at Topoi within the research group (B-1) Routes – Water – Knowledge and participates in the PhD program “Ancient Languages and Texts” (ALT) at Berlin Graduate School of Ancient Studies (BerGSAS). She studied Evangelical Theology in Leipzig and Berlin and has been passing the examination in Hamburg in 2011. Since December 2011 she has been following her doctoral studies at the Theological Faculty of the Humboldt-Universität zu Berlin. In her current project Julika Wilcke is studying the book of Acts with regards to its historiographical character and comparing it with contemporary historiographies from the Greco-Roman and Jewish traditions. The focus of her studies is on the numerous ethnological and geographical details of these texts, and examining what importance they have.